Berg Twins: Happy 2-month Birthday! ben in the blue stripes? Yes :). I try to always put Bryce on the left and Ben on the right in pictures and in their crib! Happy Birthday Berg twins! You guys are getting so big and look so healthy! 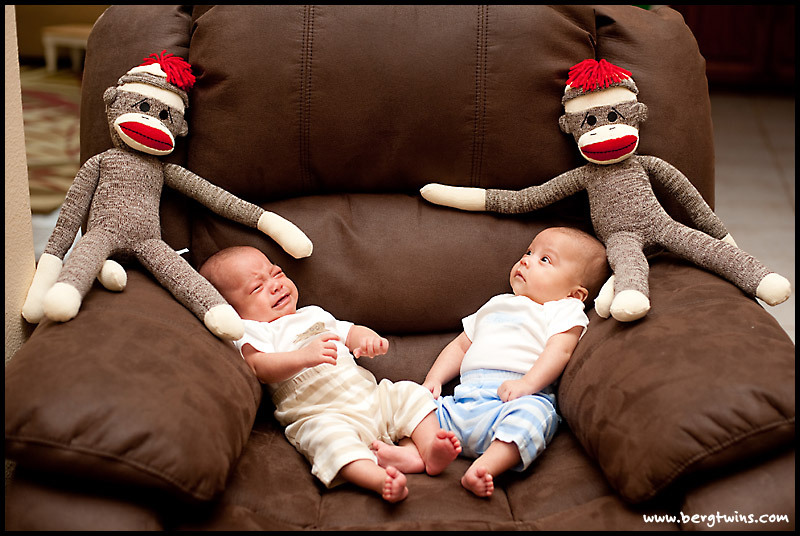 And I love your sock monkeys! I look forward to many more pictures!